The Department of Oral Medicine & Radiology, Manav Rachna Dental College organized a daylong awareness campaign on Cancer. A talk was held by Dr. Mandeep Kaur, Associate Prof & Incharge, Dept. of Oral Medicine & Radiology, Faculty of Dentistry, Jamia Milia Islamia University, New Delhi. 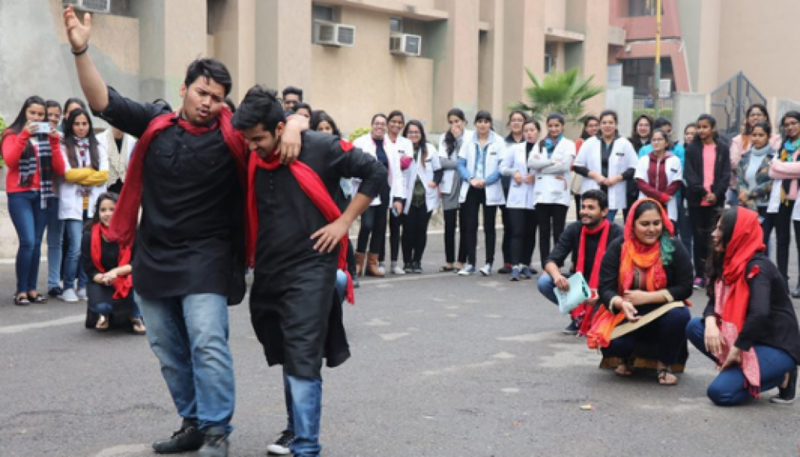 Nukkad Natak was carried out by the Interns batch throughout the campus. 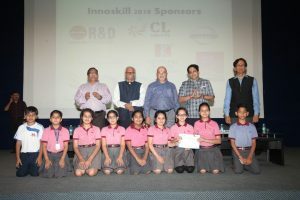 It was witnessed by the dignitaries of Manav Rachna Educational Institutions (Dr. Sanjay Shrivastava and Dr. N C Wadhwa) Dr. Sumit Bhateja, Head, Dept. 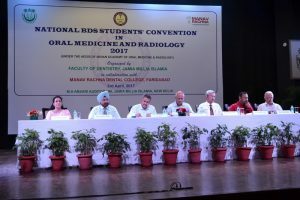 of Oral Medicine & Radiology in his introductory speech emphasized the importance of Dental profession in Prevention & Early Detection of Oral Cancer. Dr. Arundeep Singh, Principal, MRDC conveyed his best wishes to the Department for celebrating the World Cancer Day for the very first time at Manav Rachna Campus. A slogan writing competition was also held and the theme was announced on the spot. The judges for the competition were, Dr. Shivani Vashisht, HOD, Dept. of English, FMeH, MRIIRS & Dr. Pooja Palwankar, HOD, Dept. of Periodontology, MRDC. 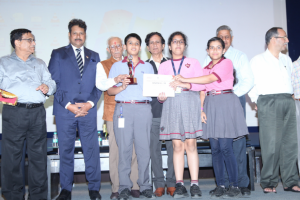 The winners of the competition were Ms Rachna (Ist prize), Ms Simran (2nd prize) & Ms Akshita (3rd prize).